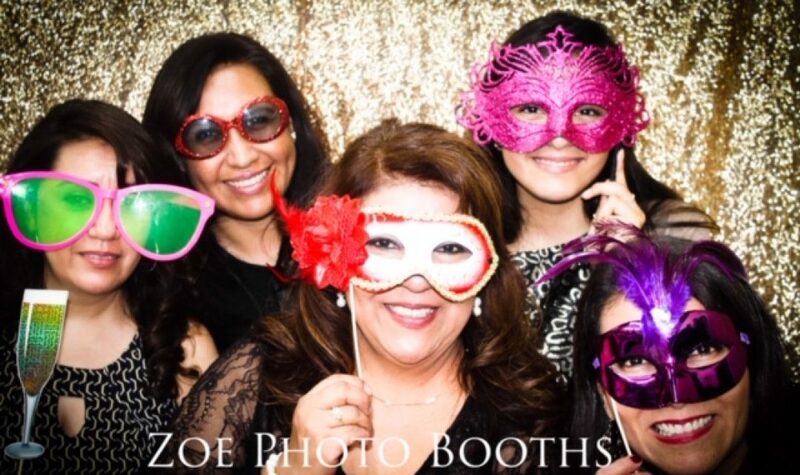 Zoe Photo booths will add sparkle to your special events such as; Weddings, Sweet- Sixteen’s, Quinceanera’s, Birthday Parties, engagement parties, baby showers, bridal showers, anniversaries, School Events, Corporate Events or any private event. Our “booth” set up is freestanding and “open-Concept”, it offers a unique experience than your average, traditional photo booth. Because it is open, you can fit anywhere from 2-10+ people. Your satisfaction is our #1 priority Contact Zoe Photo Booths! Sky Zone, The Long Beach Grand, The Renaissance, We bring smiles to any venue. We are insured!